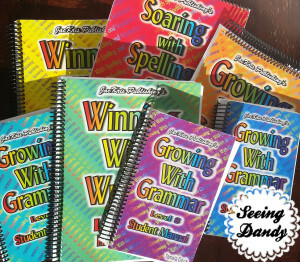 Are youÂ looking for aÂ complete set of Growing with Grammar, Winning with Writing or Soaring with Spelling? Â Well then you are inÂ to the right place! Â This is a great curriculum choice and I am sure you will not be disappointed. It will really help your child learn and take some stress off of you in terms of prep work. This curriculum comes as a complete set and requires no prep work on the part of the student or teacher. You just pull the workbooks out and go! TheyÂ can be used one-on-one or independently. 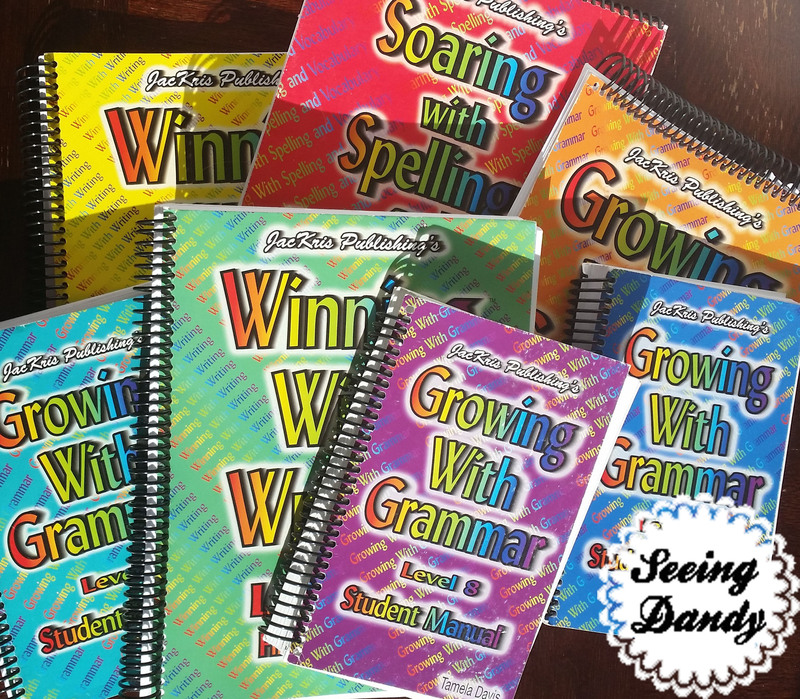 EachÂ level is color coded, making it super easy for me as a parent to know who left their books lying around!Â If you would like to read more about the spelling and writing programs, then you should definitely check out my Growing with Grammar review.